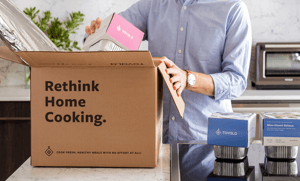 Tovala Meals are a fresh, easy answer to, "What's for dinner?" 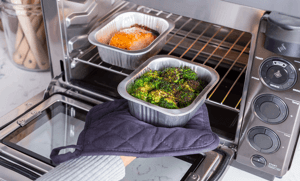 you can use the Tovala Oven to cook your own groceries. 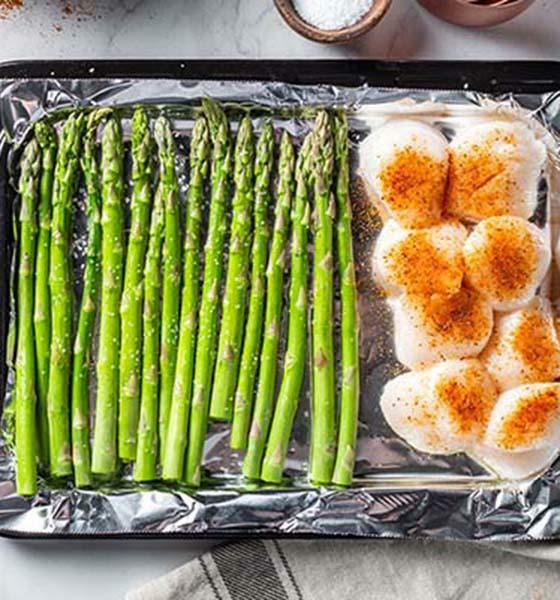 Spend less than a minute preparing dinner, and have it cooked and ready in 20 minutes or less. We chop, season, and assemble the ingredients for each Tovala Meal so they're ready to cook. Then, we ship these meals to you. Your meals arrive once a week in an insulated, cold-packed box. Scan the meal's barcode, press start, and enjoy a delicious, home-cooked dinner, ready in 20 minutes or less. 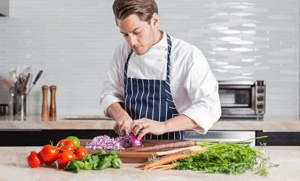 Tovala chefs create and prep a menu of 10 different meals every week. No preservatives. Just fresh, high-quality produce, meat, and pantry staples. Meals always between 400-800 calories. Gluten-free, high-protein, and vegetarian options available weekly. Order up to 12 meals per week. Skip a week of meals, pause your plan, or cancel anytime. "Tovala has changed our lives for the better. With busy work schedules and running our kids to a million different activities - Tovala has given us easy, quick, and tasty options that move us out of the fast food line and back to healthy, balanced eating habits." "OMG! My miso salmon dinner tonight was AWESOME!!! It was done perfectly, tasted delicious, and satisfied my hunger. It was so easy, and I loved the recyclable materials. I was practically licking the dishes it was so good." "Tovala has been a great solution for the daily, soul-draining "what's for dinner" conversation. We've been so pleased with the quality of the meals and the customer service." "I absolutely recommend Tovala. I work long hours and absolutely hate cooking. Tovala does all the work for me! I’m all about healthy dinners, and Tovala absolutely doesn’t disappoint. I’m able to eat amazing meals that are ready in 15-20 minutes. Tovala takes home cooking to another level." "I am blown away by the taste, freshness and easy of use. I look forward to each week's delivery and cant wait to make the meals. It is truly a remarkable product and the service and meals are exceptional." Choose from 10 meals that change every week. Each meal is well balanced and serves 1 person. Our menu of 10 meals changes weekly. Order 1 of each, 10 of the same meal—whatever you like. We offer at least 2 vegetarian meals every week. We offer at least 3 gluten-free meals every week. 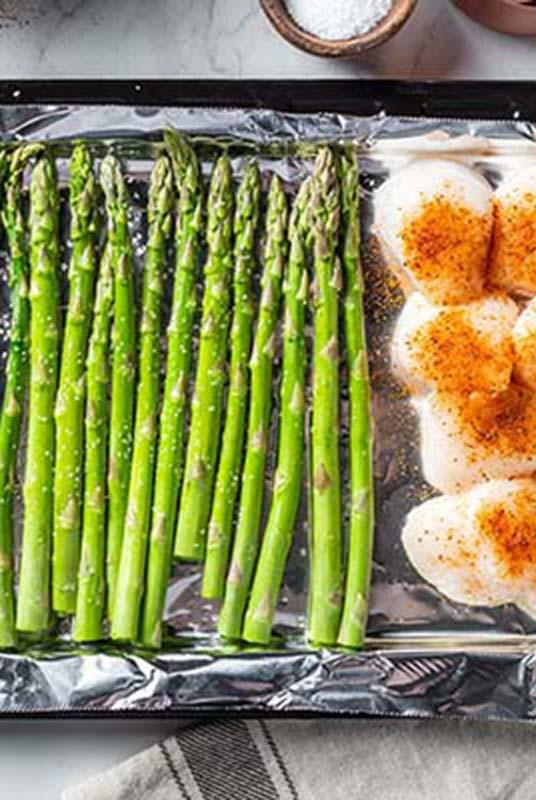 All meals cook in 20 minutes or less, and take 1 minute (or less) to prep. We prepare each meal so its different parts can cook at the same time. That includes partially cooking ingredients in some meals before we send them to you. Store our meals in the fridge. But you can freeze them if you can't eat them before they expire. 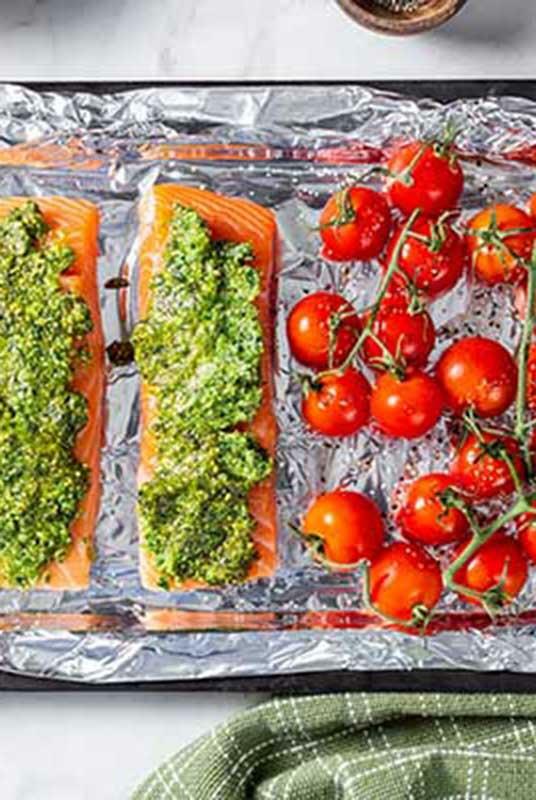 You can cook at least 2 of the same meal at once in your Tovala Oven, and up to 4 at once for the meals that are cooked in 1 tray, like pastas. Meals are delivered once a week on Monday, Tuesday, or Wednesday, depending on where you live. We're constantly working on delivering meals at times that work best for our customers. Our library of recipes guarantees instant peace of mind the moment you press start. 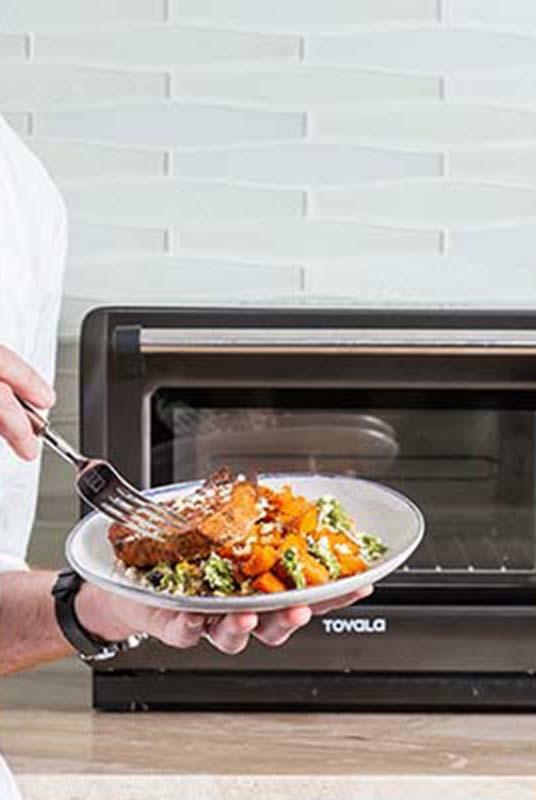 Just follow our chef's directions to prep your food, then let your Tovala Oven cook it perfectly. We've got your back. Each recipe is developed by our chefs to be simple, exciting, and always delicious. 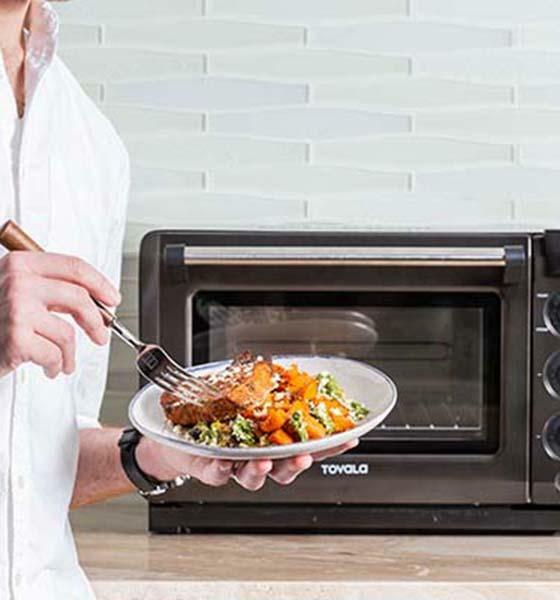 Tovala IQ™ means you press a button and your oven steams, bakes, and broils your food to perfection. Recipes include staple ingredients, breakfast, lunch, dinner, and even kids' meals. 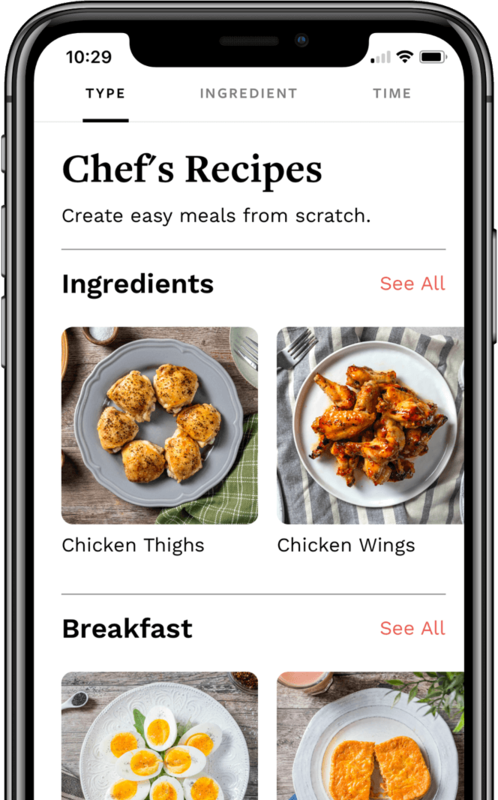 We add new recipes to the app every month, so you can keep trying and making new things! 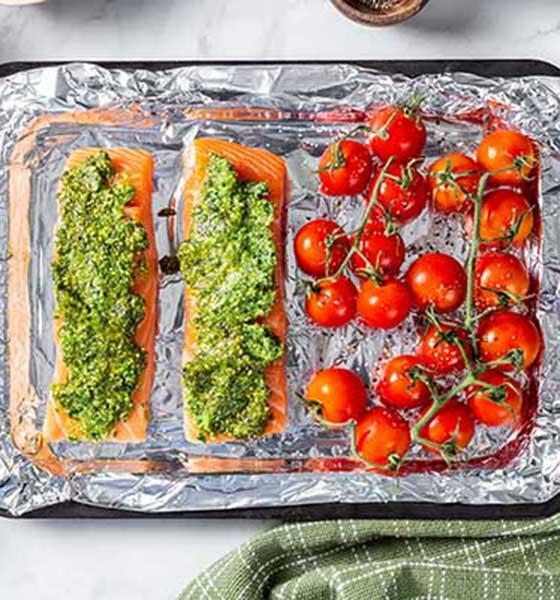 When you'd normally use your conventional oven or toaster, use the Tovala Oven instead. But cook even better, thanks to the power of steam and Tovala IQ™. Steam gives you better food with the perfect texture. 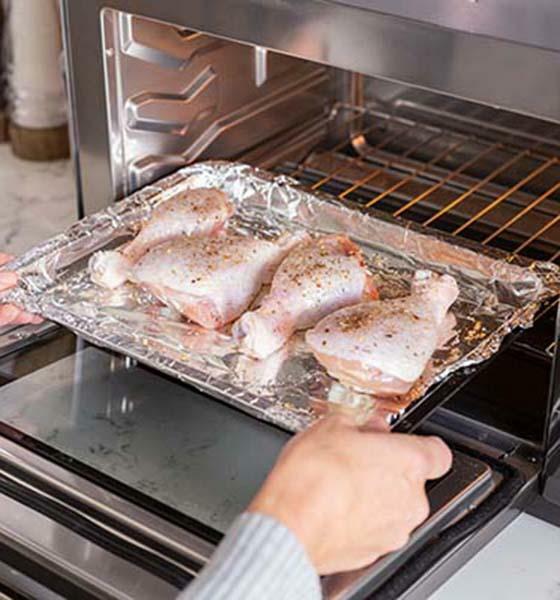 When was the last time your conventional oven inspired awe? 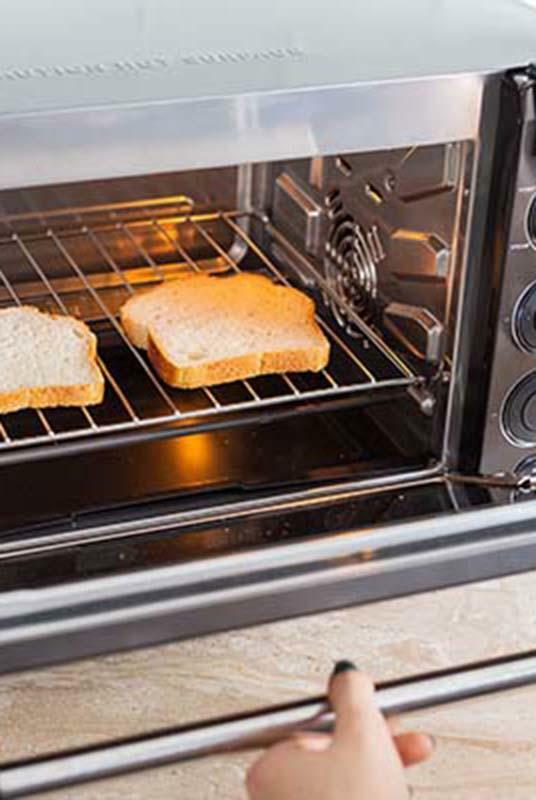 Toasting with steam gives your bread the perfect crispiness without drying out the inside. 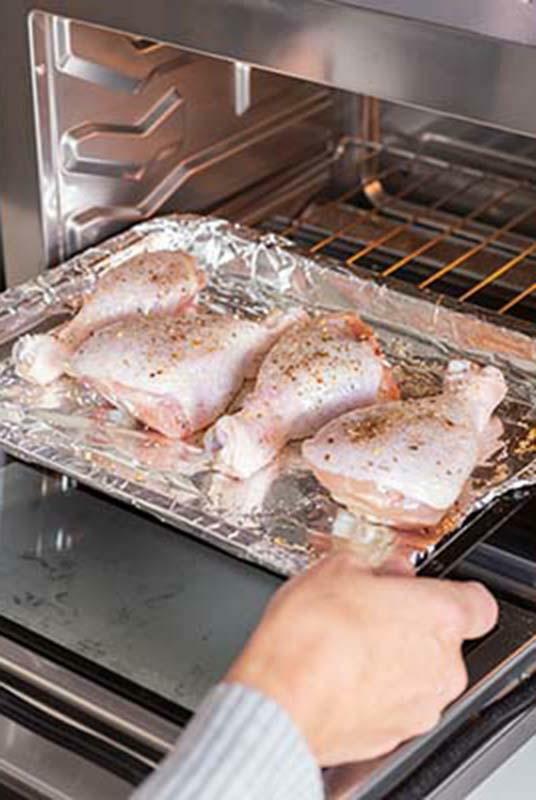 Throw your leftovers in the Tovala Oven to make your food taste freshly cooked again. Pizza lovers rejoice! 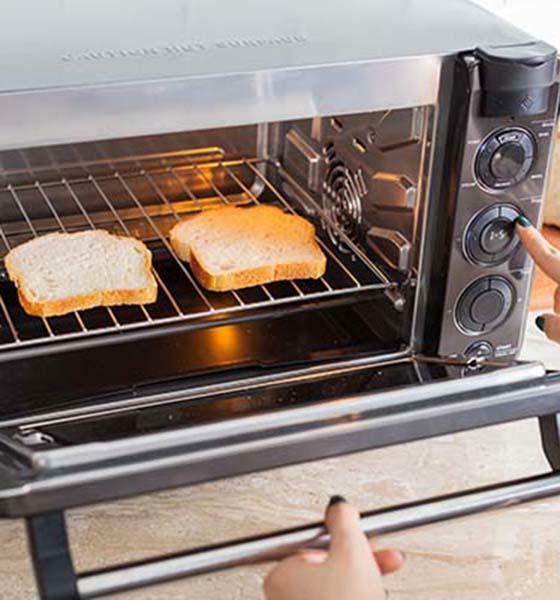 On the front of your Tovala Oven, set it to steam, bake, broil, toast, and reheat. It's as simple as that.